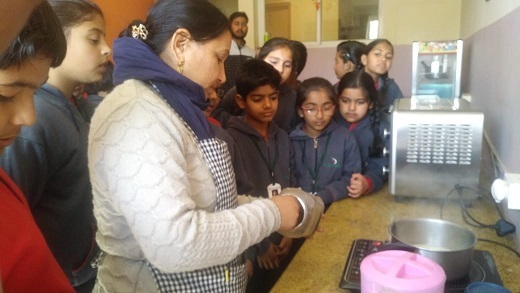 Students of Grade 5 were taught how to make tea. 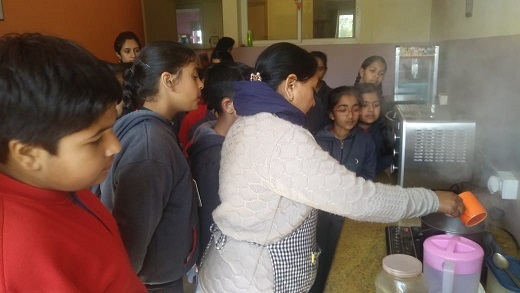 Children were taken to the pantry and were shown the process of making tea. They were taught the measurements to be taken of the ingredients, boiling time and how to take it out in a cup. 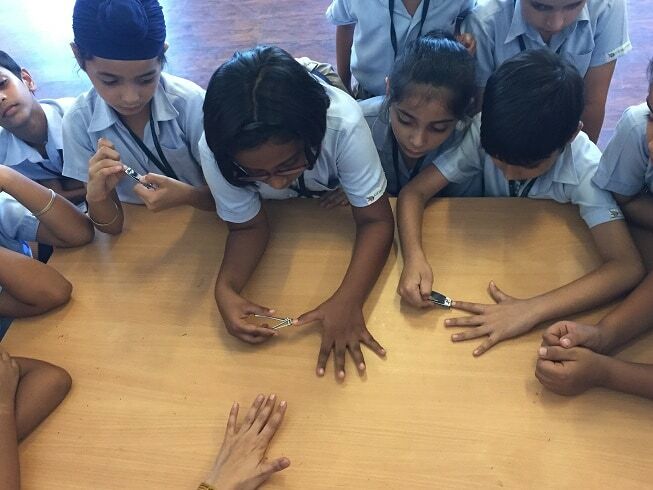 Children enjoyed the activity and promised to make it today for their parents. 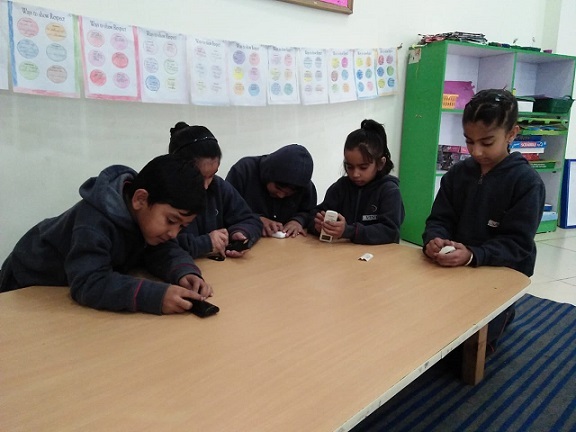 At school, our children are encouraged to become self-reliant with their everyday activities, be it at home or school. Children, as we understand, love to explore things independently, things in which they may not be flawless at the beginning but given an opportunity, would love to handle them independently. 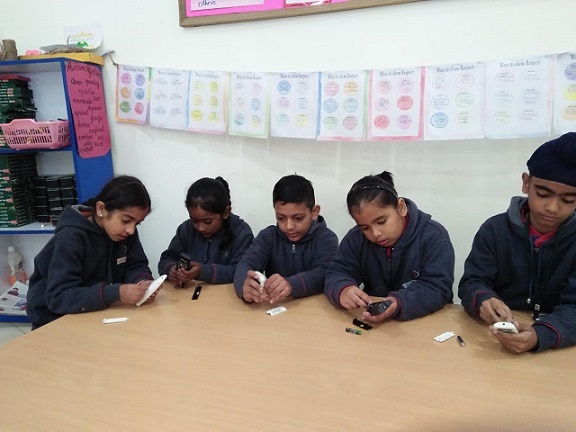 Grade 3 students were taught how to insert the batteries in the remote as a life skill. This is the basic skill a ten years old kid must know. So apart from regular academics, the skill was taught to make them independent. In our Leapfrog Programme, we encourage our children to become self-reliant with their everyday activities, be it at home or school. Children, as we understand, love to explore things independently, things in which they may not be flawless at the beginning but given an opportunity, would love to handle them independently. 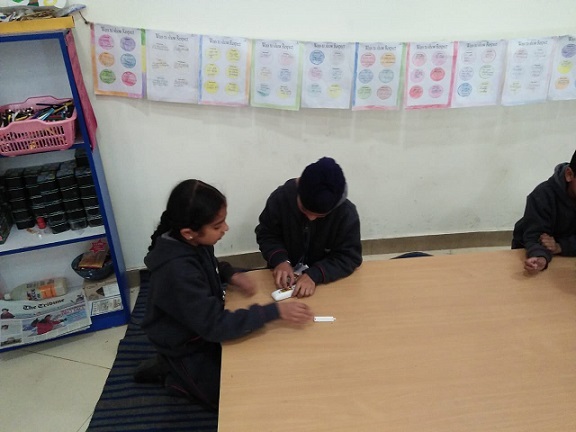 They learn basic life skills such as how to tie their shoelaces, how to survive when alone at home and pasting their own worksheets in their notebooks.